Most NFL fans remember that playoff game between the Green Bay Packers and Dallas Cowboys back in 2014 for the infamous non-catch by Dez Bryant that the current rules would now call a catch. But there was something else telling about the game that made “the catch” necessary for the Cowboys to win—the pass rush. In the first half, the pass rush was decent, but in the second it was practically non-existent. When a guy like Aaron Rodgers has all day to locate an open receiver, bad things are going to happen. The pass rush, or lack thereof, was an issue in that game and has remained one for the team ever since. There have been times where the unit has shown promise the last couple of years. But a lack of depth, injuries, suspensions, or a combination of the three has made the pass rush a weakness for the Cowboys. However, for at least the next year, they may actually have a pretty formidable unit. That is, assuming everyone remains healthy, doesn’t get suspended, and brings their ‘A’ game. David Irving has shown some potential over the last couple of seasons with 11 sacks. However, he will be starting the 2017 season with a four-game suspension for violating the league’s substance abuse policy. But with the players expected to be on the roster, the unit could still look good in those four games. DeMarcus Lawrence will be around for at least another year. He and the team were not able to come to an agreement on a long-term contract prior to the franchise tag deadline. So, they will pay him roughly $17 million this season. If he lives up to expectations, they’ll pay him even more next season. Along with Tyrone Crawford and Maliek Collins, they have a decent first unit. But a good defensive front needs more than a solid starting unit. It needs depth—which the Cowboys may finally have. Second-year player Taco Charlton will look to build off a decent but unspectacular rookie season. Free agent signee Kony Ealy looked like a developing star in his early days with the Carolina Panthers. Former second-round pick Randy Gregory was recently reinstated after being suspended for the last year and a half. Assuming Charlton and Ealy can continue to grow and Gregory can regain his dominant college form, the Cowboys will have decent depth on the defensive front. 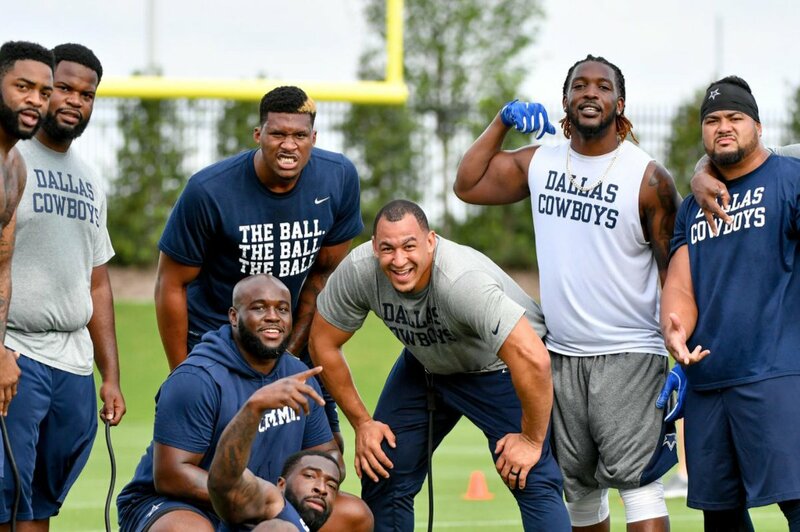 With Sean Lee, Jaylon Smith, and rookie Leighton Vander Esch at linebacker, the Cowboys could become tougher against the pass this season. They’ll certainly have plenty of room to improve after giving up the sixth most passing touchdowns last season. The unit will get tested with Eli Manning, Carson Wentz, and Alex Smith on the schedule. If they can pass the test, maybe this year will be the one Dallas Cowboys fans have been hoping for.